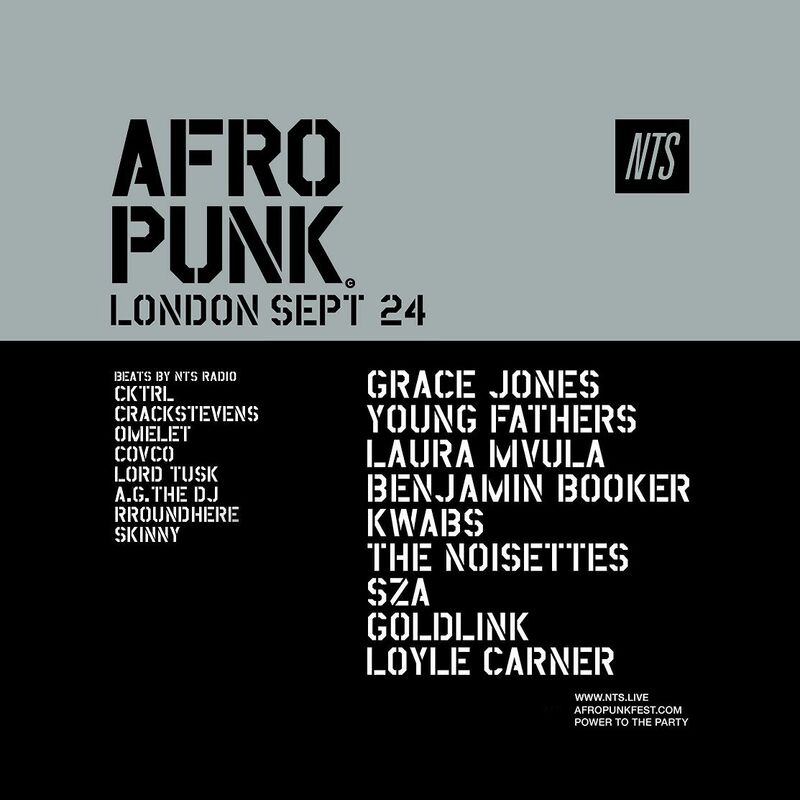 NTS is joining forces with Afropunk festival in London on the 23rd and 24th September. Afropunk has been hosting festivals in Brooklyn, Atlanta and Paris for the past 13 years and is making it's UK debut this year, bringing the party to Alexandra Palace. It'll be mixing homegrown and global talent, with headlining acts such as Grace Jones, Benjamin Booker, SZA, Laura Mvula, as well as a performance from 'Word Sound Power' - the new collaborative project from the minds of Akala, Dreadzone and Don Letts. Also in store is 'Beats by NTS Radio' - a selection of our finest including CKTRL, Crackstevens, Omelet, Covco, Lord Tusk, A.G, Rroundhere and Skinny. Power to the party - Afropunk is about education, political awareness and self-empowerment. Respect, breaking down stereotypes, and celebrating individuality are key to the Afro-Punk ethos: London’s first edition will welcome souls from all cultures and backgrounds for a day of positive energy and next-level entertainment.